Leila Jean Goldman, 80, of Grayville, Illinois, died Wednesday, February 06, 2019, at Oakview Heights Continuous Care and Rehabilitation in Mt. Carmel, Illinois. She was born October 2, 1938, in Kalamazoo, Michigan, the daughter of John and Lila (Remington) Mattoni. She was married to Perry Goldman on December 12, 1962, and he survives. 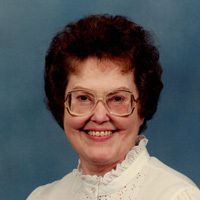 Jean was a homemaker and member of the Northside Baptist Church in Grayville. She served as a nurse in the United States Army. Survivors are her husband, Perry Goldman, and several nieces and nephews. Graveside Military Services will be at 10 am, Friday, February 8, 2019, at Oak Grove Cemetery. There is no prior visitation and friends and family are asked to be at the cemetery by 10 am Friday. Cook Funeral Chapel in Grayville is in charge of all arrangements.